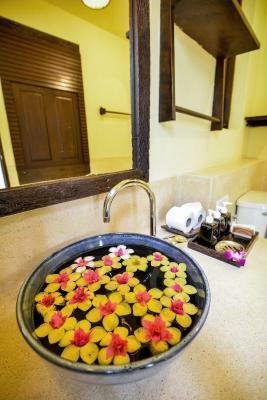 Lock in a great price for The Spa Koh Chang Resort – rated 8.5 by recent guests! I love the fact that the whole place is quiet or there are meditative sounds playing. The massage place is also a favorite. I like that it's outside. Breakfast is wonderful and so is the yoga! I love the weekday trips around the island and the free use of a bicycle. I love this place! 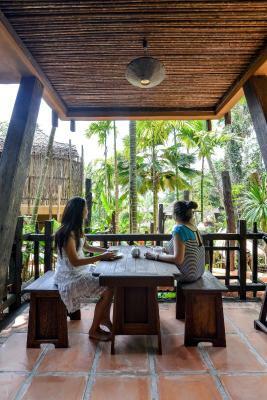 The Spa Koh Chang is an absolutely magical place and a real hidden gem. We loved literally everything! 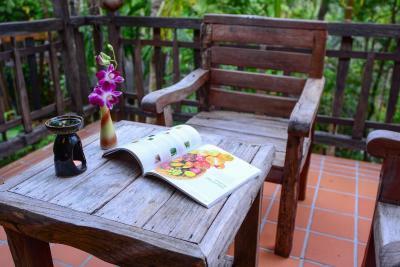 The place is very clean and well taken care of, very quiet so you can easily relax and distance from the busy main part of the island. The staff is very friendly and extremely helpful, and assisted us at all times with anything we needed. Great menu and delicious food, overall great value for money. We will happily visit again! Lovely staff, comfy rooms, beautiful surroundings and the most delicous food. Serine, natural, clean, good food, very friendly and helpful staff. Everything was great, great staff, great rooms, great food, yoga was great! Also hotel offers free excursions to nearby places... would defiantly recommend and will visit again next year! The rooms were clean and comfortable. The whole complex looks very beautiful. 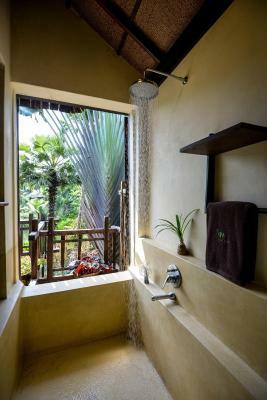 The Spa Koh Chang Resort This rating is a reflection of how the property compares to the industry standard when it comes to price, facilities and services available. It's based on a self-evaluation by the property. Use this rating to help choose your stay! 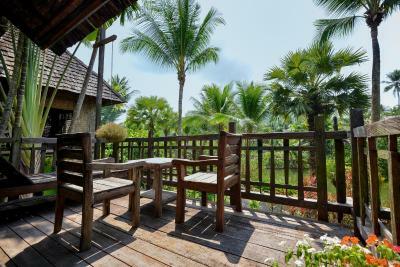 The Spa Koh Chang Resort offers a tranquil getaway surrounded by natural scenery in Salak Kok Bay. This health resort features spa facilities and meditation classes. Free Wi-Fi is available. Khao Salak Phet, Koh Chang’s highest peak, is a 15-minute drive from the resort. Free shuttles to Long Beach and White Sand Beach are provided on selected days. Airport shuttle services can be arranged at an extra charge. 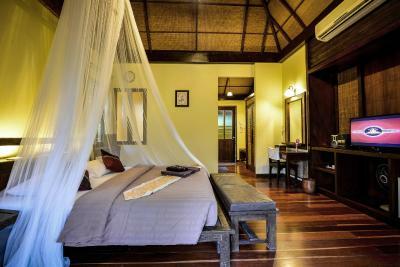 Rooms at Spa Resort Koh Chang are decorated in a tropical style. 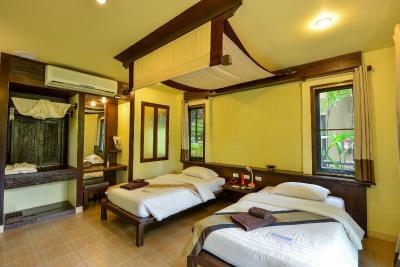 Each air-conditioned room is equipped with a cable TV, fridge and safe. Tea making facilities are also provided. Several relaxation options await guests, such as an outdoor pool and massage and yoga huts. 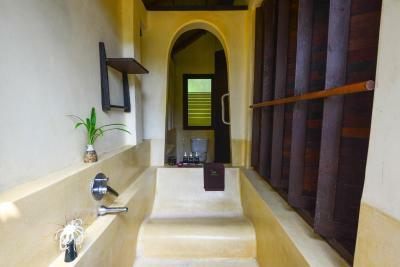 Fitness equipment in a small hut lets guests exercise in an open-air setting, surrounded by the resort grounds. Use of the resort’s kayaks is free for guests. Well-known for its delicious vegetarian dishes, The Radiance Restaurant prepares healthy meals with fresh, organic ingredients. It also serves fresh seafood from the fishing village of Salak Kok. 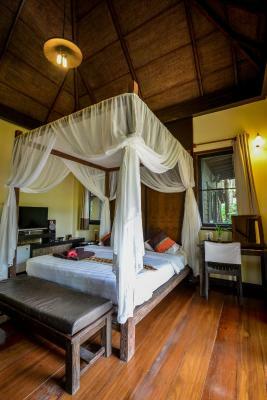 This property is also rated for the best value in Ko Chang! Guests are getting more for their money when compared to other properties in this city. 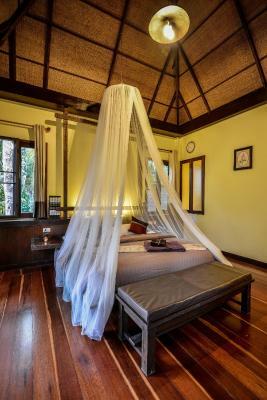 When would you like to stay at The Spa Koh Chang Resort? 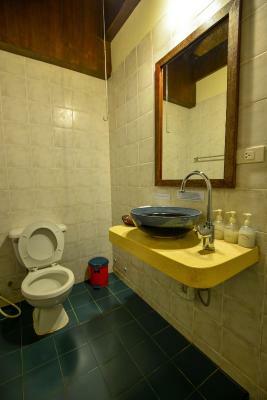 Standard double room comes with a private bathroom and shower facilities. First-floor cottages feature a balcony and easy access to the grounds. 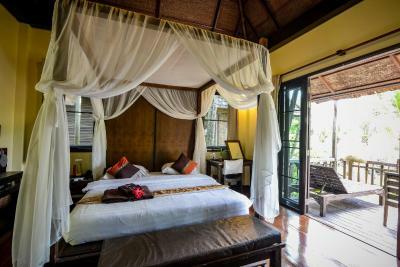 Cottages feature hardwood floors and a large balcony with panoramic views of the grounds and pool. 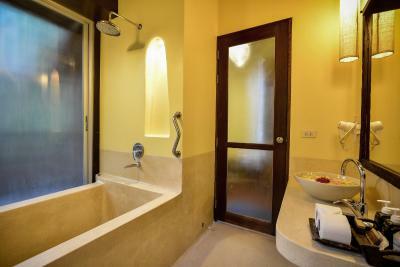 Located on a lower floor, this twin room features a DVD player, bathrobe and seating area. 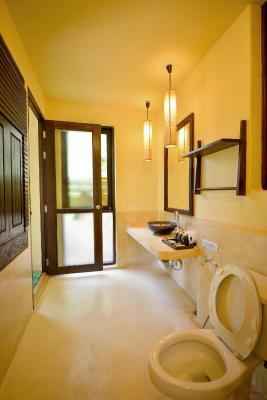 House Rules The Spa Koh Chang Resort takes special requests – add in the next step! 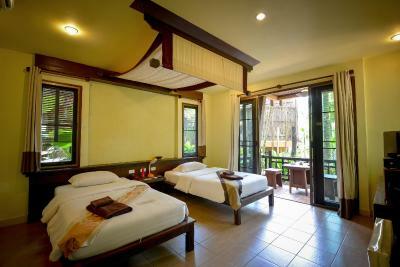 One older child or adult is charged THB 700 per person per night in an extra bed. The Spa Koh Chang Resort accepts these cards and reserves the right to temporarily hold an amount prior to arrival. Please note that the resort is a smoke-free property. The fact that, because I was one of three people in the place, they didn't stock up on Raw Food because I wasn't signed up for their cleanse. I think you have to let them know in advance to be sure they have the right vegetables because asking them to order it from the mainland while there didn't work. Besides the fact kailash the yoga teacher is one of the best, the staff was super friendly during my whole holiday! It really was so far away from anything if you wanted to go out and eat or explore of an evening, driving back was pitch black and over an hour from the other side of the island. The resort is a bit far from all other restaurants and other beaches like White sand beach and Lonely beach, but you can just rent a Moto and drive there yourself. And our neighbours was very loud, screaming at each other and banging doors at strange hours, but that was by no means the Resort's fault. We did not like: -the "fitness studio" (old and rusty) -the dry mangrove (no kayak-tour possible) -we could not rent a scooter or a bycicle, there are not enough. -the only way out of the complex is, that they drive you with a private driver (->more expensive) Even if you ask for other places to rent a scooter, they wont tell you, which means you are kind of trapt. Negotiating the drive to the hospital seems kind of cold-hearted. To be fair, most of the staff is very friendly and helpful. Food wasnt so good, under expectations. Position is far from turistic attractions, reccommended if you want to stay mostly isolated. Beautiful, unique and quiet location in the jungle. Helpful and friendly staff. The pool is extremely good with amazing view on the natural lake in the jungle. Everything was great. So quiet and calm, beautifull, great for relaxing and self-awareness. Staff very helpfull aswell, and great yoga and massage treatments. Would love to come back.